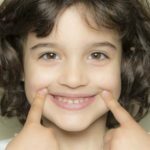 Behavior Management | Smile Angels of Beverly Hills - Bruce Vafa DDS. Because every child is different, we have a wide range of choices to help a child complete needed dental treatment. We will make a recommendation of behavior management methods for your child based upon your child’s health history, special health needs, dental needs, type of treatment required, emotional and intellectual development, and your parental preferences. The three main goals of behavior management are first to help a child feel relaxed and confident; second to guide a child in coping with dental treatment; and third to complete dental treatment as quickly and safely as possible. To be a well-informed parent, you should know the choices available to help your child during dental treatment. Working together, we can select the best treatment methods to make your child’s visit as safe and comfortable as possible. Tell-Show-Do: The pediatric dental team explains the treatment in words just: right for the child’s age and level of understanding, shows the child the treatment in a simplified manner, and then does the treatment. Positive Reinforcement: The pediatric dental team praises the child for any behavior that helps with treatment. Every child does something right during a dental visit. Distraction: In this technique, the pediatric dental teams choose their treatment words carefully, pass instruments out of the child’s sight, and occasionally distract the child’s attention away from the treatment with conversation, music, or games. Voice Control: The pediatric dental team changes voice tone or volume to calm a child or get a child’s attention. Typically, we speak in a soft, controlled tone and repeat messages as necessary. We may occasionally use a loud tone to discourage disruptive behavior or movements that can pose a risk to the child, such as reaching for a sharp instrument. If’ you are not comfortable with the use of voice control with your child, then you should certainly speak to us about the issue. Local Anesthetics: A topical anesthetic can be applied with a cotton swab to prevent pain on the surface of the mouth. A local anesthetic, such as Novocaine, may be injected in a specific area of a child’s mouth to prevent discomfort during treatment. These local anesthetics cause temporary numbness that may last past the visit. Parents/Guardians must be careful about giving children hot food or liquids until the numbness wears off Parents should also monitor their child after local anesthesia to ensure that they are not injuring themselves. Nitrous Oxide / Oxygen Analgesia: If a child is worried by the sights, sounds or sensations of dental treatment, they may respond more positively with the use of nitrous oxide / oxygen. Perhaps the safest analgesic in dentistry, nitrous oxide/oxygen can reduce anxiety and gagging in children and make long appointments easier. The child remains fully conscious during treatment. Recovery after treatment is rapid and complete. Nitrous oxide is not effective for children who are congested or will not breathe through their nose. Physical Restraint: Possibilities in this category include asking the parent/guardian to hold the child on his/her lap with arms and hands holding the child’s hands and legs. Another approach is the use of a body wrap (pediwrap) that holds the child’s arms and legs away from the mouth. A mouth prop may be used to help children who have a difficult time keeping their mouths open. Restraint may be recommended for children who are very young or have difficulty remembering the importance of keeping their hands away from dental instruments. Used only after alternative approaches have been considered, this approach is sometimes necessary to protect a child from the sharp, fast moving instruments required in dental treatment. Note: The parent or guardian will be informed if any of the above behavior management techniques are recommended prior to their usage. IV SEDATION: Medically speaking, IV SEDATION is an induced state of unconsciousness. In practical terms, the patient is asleep and unable to respond to touch or voices. It is most often recommended for very young children with extensive treatment needs and/or an inability to communicate and cooperate. Sometimes it may also be the best way to provide treatment for children with special medical / developmental needs.At Smile Angels, Only highly qualified anesthesiologists provide the Iv sedation services. Parents should talk openly with the pediatric dental staff about the benefits and risks of this treatment.